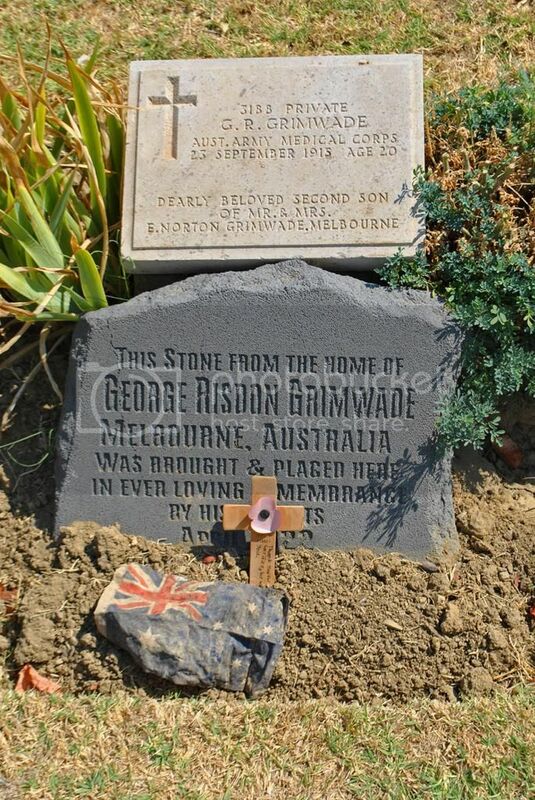 I was very moved when I saw that the parents of Private George Risdon Grimwade had travelled all the way from Melbourne with a second headstone for their son. He must be the only man on the peninsula with two. Very moving, and considering his parents got there in 1922 all the way from the Antipodes which was no easy feat in itself in those days. Some of the very few parents who would have been able to visit the grave of their child.